For many of us former (or hoping to be former) city slickers, the purpose and role of the County Extension Office is somewhat of a mystery. Whether you live in the city, suburbs, or country, the County Extension system today is an invaluable resource available to everyone. To understand the role of the Extension Service, you must travel back in time to the start of Land-Grant Colleges, commonly known as Land-Grant Universities today. Land-Grant Universities were identified by a state to receive the benefits of the Morrill mmActs of 1862 and 1890. The Morrill Acts granted Federally controlled land to the states to sell, raise funds, establish, and endow Land-Grant colleges. In 1819, after the American Revolutionary War, the American Farmer encouraged farmers to report on achievements and their methods of solving problems. This forum was a popular way for farmers to exchange information on what worked and what didn't work. 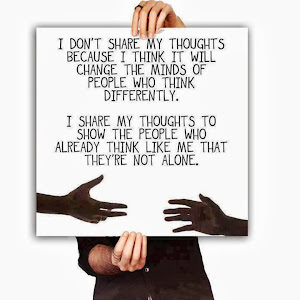 Being able to share useful, practical, and research based information made sense and caught on quickly. The mission of the Morrill Act of 1862 was to build Land-Grant institutions foucssing on teaching practical and useful agricultural, science, military science, and engineering skills to the population without excluding classical studies. This movement was in direct response to the Industrial Revolution and the evolution of the social classes. The first Morrill Act provided funds to allow educational institutions to study and develop scientifically proven methods for agriculture, science, engineering, and military science and then to share that knowledge with the public. The Second Morrill Act of 1890 was aimed at the former Confederate States. The same principles and goals of the 1862 Act held, however new limits were imposed. The new limits stated the states benefiting from the Act could not consider race a criterion for admission or, if they did, a separate Land-Grant institution for people of color would need to be established. The states were granted cash instead of land for these new Land-Grant institutions. 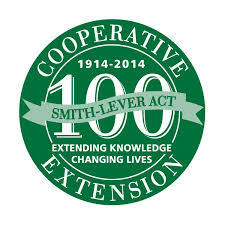 Then in 1914 the Smith-Lever Act was a federal law establishing a system of cooperative extension offices connected with the Land-Grant universities which would be used to "inform on current developments in agriculture, home economics, public policy, government, leadership, 4-H, economic development, coastal issues, and other related subjects." This education would be in the form of "home instruction." There are 100 Land-Grant Universities. Some examples are Pennsylvania State University, University of Arizona, Oklahoma State University, University of Wisconsin, along with Rutgers (the oldest University to receive the Grant), and Iowa State (the first to receive the grant.) 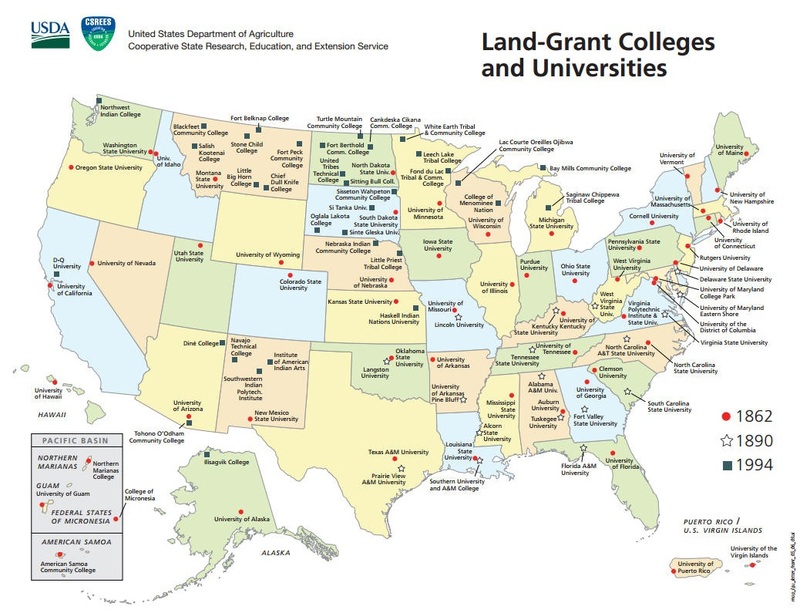 Every state has at least one Land-Grant University. Extension offices really began to shine during WWI. During the Great War extension offices helped increase wheat production from 47 million acres in 1913 to 74 million acres in 1919. 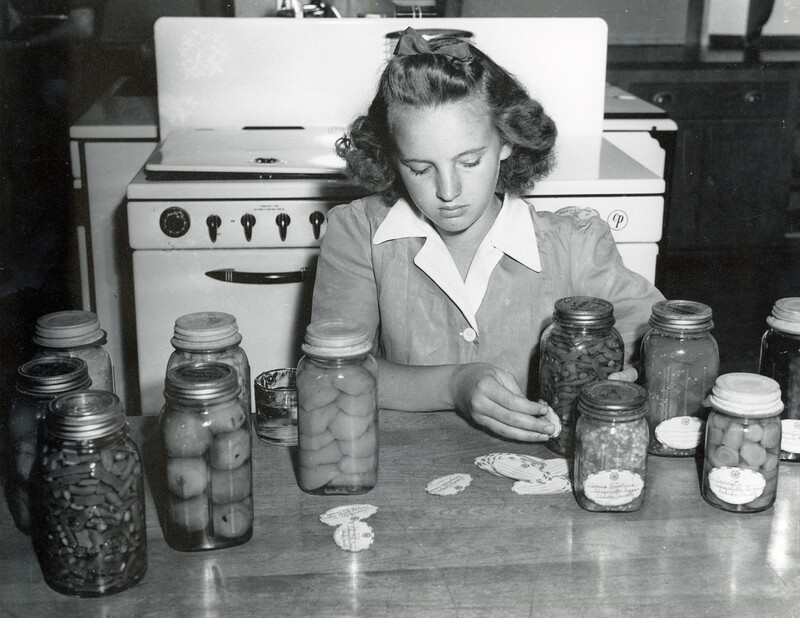 The Extension Service partnered with the USDA to teach canning, drying, and preserving of food. 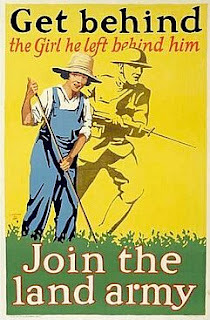 The Extension Service helped with war-time labor shortages by organizing the Women's Land Army and The Boy's Working Reserve. Many, many programs have come from the Extension Service. One of the most well known is 4-H. 4-H is a youth development program that has served over 1 million of America's youth. Programs vary, but in my neck of the woods 4-H students raise livestock, grow crops, and learn public speaking. Extension Service can teach us to grow our garden, grow our lawns, manage our forests, control pests, learn to preserve foods safely, offer community gatherings, and much, much more. 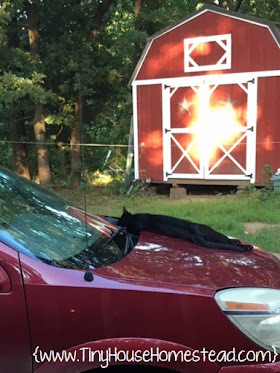 It is useful even if you reside in an urban or suburban environment. Remember how you could just dial up your local librarian back in the day? How you could just dial up, ask a question, and get an answer? Your local extension office can do the same. The local extension office in your area will produce materials dealing with plants, pests, birds, game, basically anything in your area. They can help you identify that unknown mushroom growing on your tree, identify what pest is eating your prized tomatoes, and help you maximize the use of your land. If you are not utilizing their services, you don't know what you are missing. Get to know the folks in your county extension office. You won't be disappointed.